One of Alaska’s most remote outposts, the frontier town of Nome, found on the wild coast of the Bering Sea, has a fascinating history that blends Eskimo culture and gold-rush quirks. 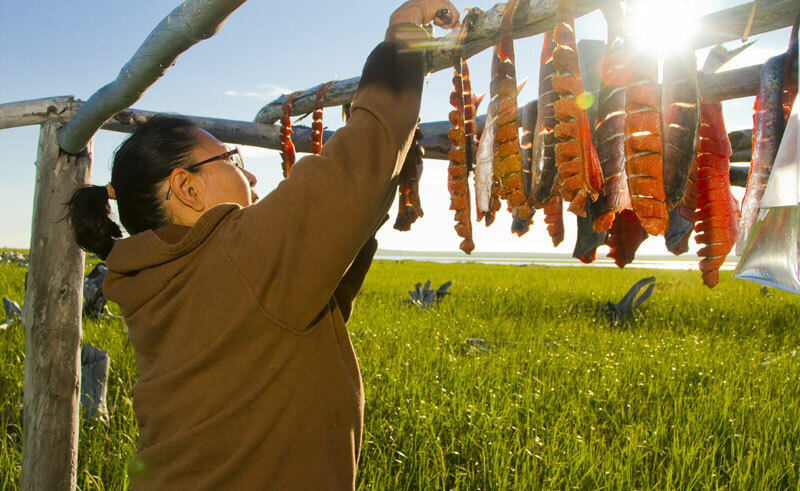 A colourful slice of Alaska, this full-day adventure includes return flights from Anchorage and a five hour guided tour of Nome and the surrounding area. The local Eskimos are warm, welcoming and eager to teach visitors about their 10,000 year history of life and culture in this harsh and, at times, unforgiving northern wilderness. Tales from the gold rush era mix with stories of legendary dog-mushers and their faithful huskies, providing a glimpse of the multi-faceted history of this remote area. The tour also includes time spent outside Nome searching for wildlife, including migratory birds, musk oxen, moose and grizzly bears may which can all be spotted roaming the open tundra. Meals are not included, but a choice of local cafes and restaurants can be found in Nome before an evening return to Anchorage. If time permits, you may also wish to consider our 2-day package, which includes an overnight stay in Nome.